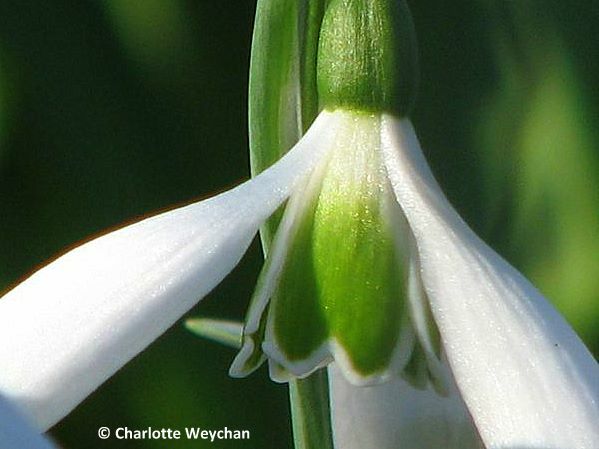 Although we're still in the middle of winter and there's little in bloom, I saw my first snowdrops today in the winter garden at Polesden Lacey in Surrey. I stopped briefly en route elsewhere - in between the rain showers - and wandered through the grounds here, enjoying the views over the surrounding Surrey countryside. 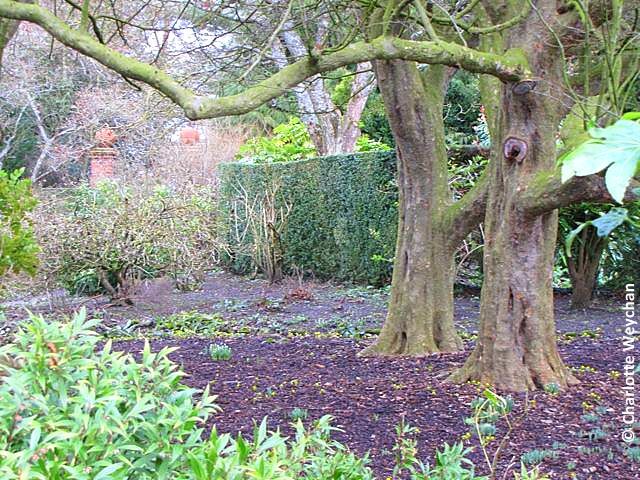 It's one of the few English gardens that remains open throughout the winter and there's much work in progress here as the gardeners prepare for springtime. 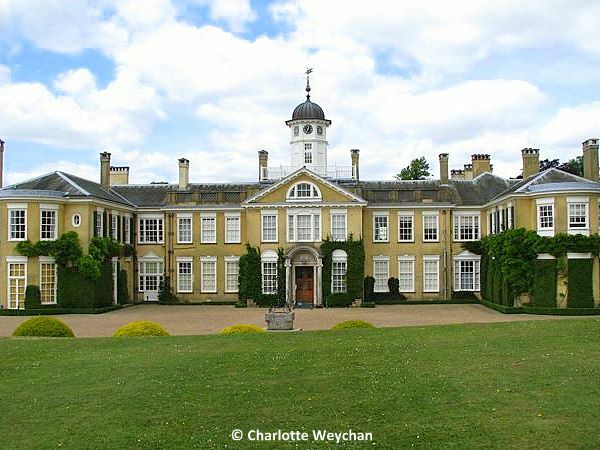 One-time home of Edwardian society hostess the Hon Mrs Ronald Greville, who liked to entertain on a grand scale, the house (top) is set in 1,400 acres of rolling countryside. The property has been under the stewardship of the National Trust since her death in 1942, but the garden, and more importantly the substantial grounds - rarely seem to feature in garden write ups. But this may be due to the fact that much restoration work has been done here in the last few years. Famous for its roses in the summer months, it was interesting to see the rose garden wearing its winter mantle (above) and remembering how it looks in full bloom (below) - a reminder of how a garden changes throughout the seasons and a reason to bookmark this particular garden for a re-visit in the summer. 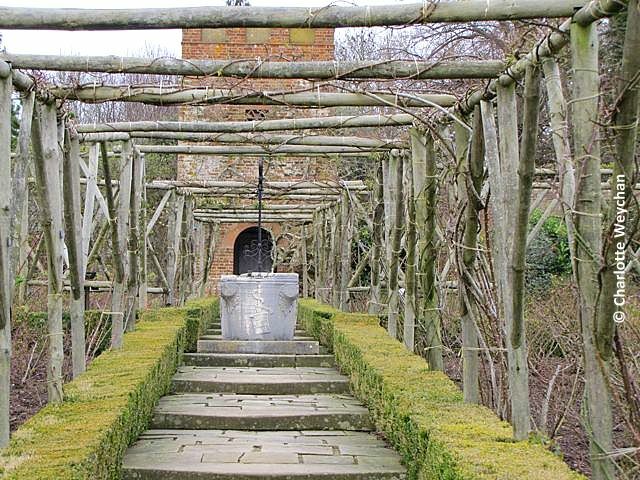 Mrs Greville created her rose garden in the former walled kitchen garden, which has its own water tower pumped with water from the reservoir in the valley below. She originally had much grander plans for her garden, but the death of her husband made her pull in her horns. But when you see what's there today, you wonder how much grander this garden could have been! I was surprised to read that more than a quarter of a million visitors come here annually, so perhaps the garden is better known than I thought! The restoration programme to date has included the thatched bridge that leads from the main garden into the parkland beyond and considerable work on the winter garden (below) where I saw my first snowdrops of the season. 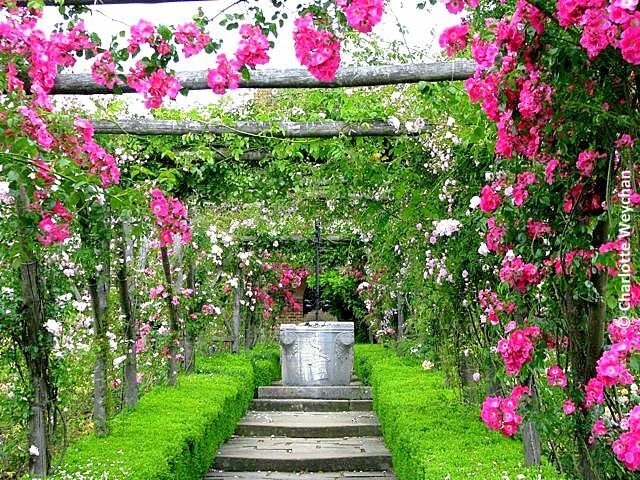 But there's little doubt that even at this time of year, this garden has great charm and you can see the potential for the summer months. This year, Polesden Lacey is holding its first Tulip Festival from 27th April through the first half of May, and with more than 15,000 bulbs planted it promises to be spectacular. Definitely something to look forward to at the end of a long and brutal winter! 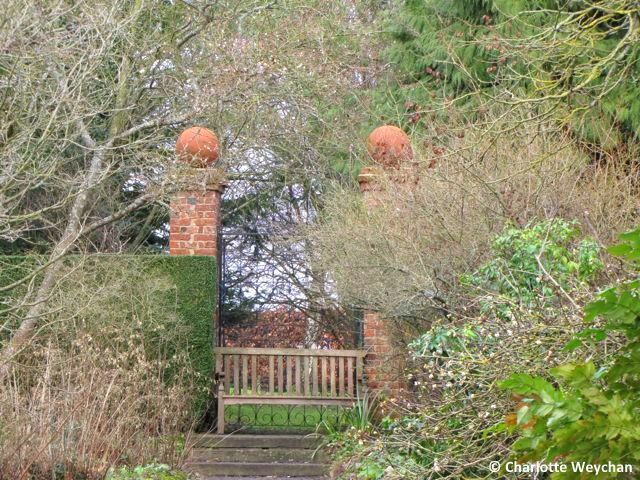 Other notable gardens nearby include the Hannah Peschar Sculpture Garden, Loseley Park and RHS Wisley. can't wait for my snowdrops to pop up once the snow melts...what lovely images you have given me!! I am a sucker for snowdrops. Which one is that? It's not the common. Seeing the same view in Winter and then Summer. Makes me think how at the beginning of Winter I am always welcoming the break from the garden. However by mid Winter I am itching to get started again. I love snowdrops. I love Polesden Lacey. I'm deeply envious! Thanks for reminding me of a wonderful day out some 10 years ago.